Responsive web design is important. If you take only one sentence away from this blog post, let that be it: in today’s online environment, ensuring that your website can respond to the devices and screens on which it is viewed is absolutely key, for all sorts of reasons. Clients and designers alike can get wrapped up in colours and font faces and where the navigation is positioned. They can become very agitated by the wrong graphic or a button that stands out insufficiently. The truth is, none of these will damage your site as bad as failing to make it responsive will. To be fair, what everyone wants is for your site to look good – and the truth is that responsive web design ensures it always looks its best. 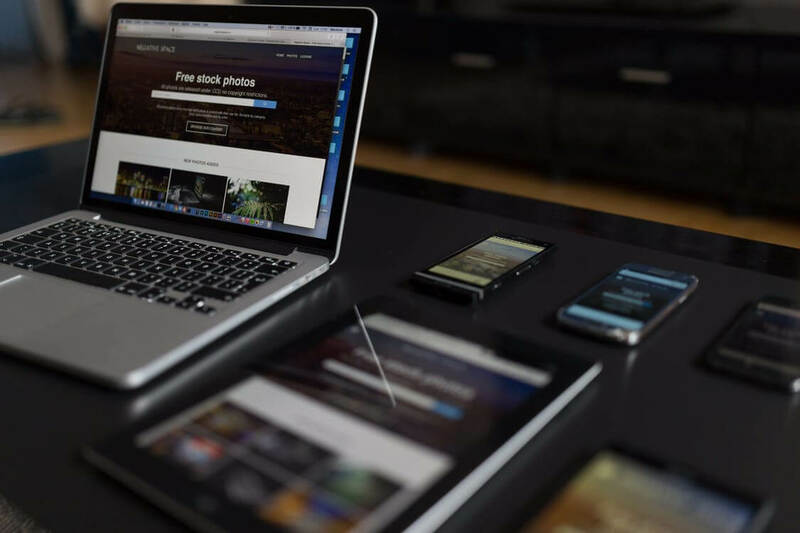 No matter how great your graphics or vibrant your colourways, all that work will be for nothing if your site doesn’t look good on a mobile phone or a tablet or any of the countless types of device which can now be used to view your site. This is all that responsive web design means: building a site that can shrink and resize and even display differently depending on the platform. For example, on a large desktop monitor, a site might stretch across the screen, displaying big and bold slider graphics and expanding its menus fully. On a mobile, however, it might contract and intelligently crop those images, or collapse the menu into a ‘hamburger’ icon. Responsive web design is important because it enables you to ensure your content looks good in every context – and that you get the message across immediately, however, a user is logging on. Ensuring this cross-platform compatibility will increase mobile visits to your site – crucial given that mobile internet usage is increasing constantly, and is now the dominant method that many people use to go online. Likewise, search engines such as Google reward website that provide this courtesy to browsers – meaning that your rankings will improve if you adopt responsive design. Should you for some reason choose not to go down this route, don’t expect to reach the top of the search pages for your chosen keywords. For example, some businesses still use multiple non-responsive websites, directing users to the site most applicable to their device. Not only will this ensure that all of your sites do worse in search engine rankings; it also makes managing them a nightmare, since each time you update a page you’ll need to do it on every single non-responsive site you maintain. Responsive web design is a time saver and will make your business more productive. In other words, these taking advantage of responsive technology is the only sensible way to approach building a new website. In fact, all your competitors are already doing it – and maybe that’s the best reason of all why responsive web design is so important!